At Pacific Craftworks, our products are made from only the Highest Quality kiln dried lumber came right out from our in-house kilning machine at factory. It gives us more control in quality monitoring and never depending on pre-kilned wood suppliers. We select the finest raw wood material so it will retain its natural variation in color, grain and texture. 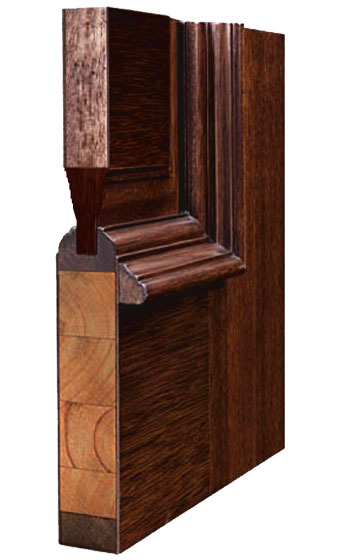 To maintain our high standards of quality, we use engineered stiles and rails along with engineered or solid wood panels. The finger-jointed and edge-glued core construction created a system that is more stable then solid wood. 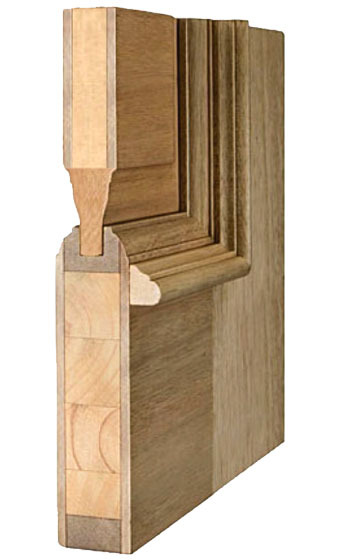 Our LAMINATED face doors have a finished wood skin of 1/8″, this type of facing is recommended for exterior doors. Our VENEER face doors have a finished wood skin of 1/16″, this type is recommended for interior door application only. Both laminated and veneer faced doors have the same high standard construction methods, and both doors will look similar in appearance. However, the veneer faced doors allows us to offer a more cost effective door for your interior applications and yet match the same appearance of the laminated faced door. We also make traditional solid woods upon customer request. Every door and every drawer are hand-fitted one at a time. We insist on a meticulous fit because that’s what we’re known for. Our philosophy and construction methodology haven’t changed in over the years because you deserve the best. From classic to contemporary and everything in between, we’re going to create a room that is uniquely yours. We are proud to offer a unique collection of tropical inspired cabinetry. Carefully choosing exotic woods and veneers and machining these to create the exotic cabinetry used over the years in most of the finest, homes, resorts, and hotels. Our designer and sales team will work with you choose options for all the finer details to create a signature look. Share your dreams with us and we will handcraft them into reality for you. Custom color is our most requested finish and that makes your favorite our specialty. We’ve perfected the process to deliver a matching color at best. Work with your designer to send a sample and we will match a color just for you.